Home > Sponsors News > Pets At Home > Pets at Home sponsor canine award. 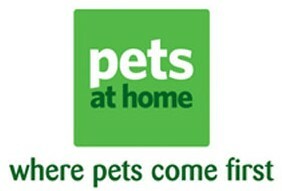 Pets at Home sponsor canine award. One of the most popular ‘Soldiering On Awards’ last year was the Canine Award. The winner in 2013 was Allen Parton and you can read his story HERE Or watch his story via you tubeThis year the Charity are delighted to announce that the UK’s leading pet retailer – PETS AT HOME – is sponsoring the Award and will be promoting it and the Awards themselves to their 850,000 membership base. Because of the popularity of this particular Award the Charity are doing things slightly differently this year. Thanks to our friends at COBSEO, earlier this year they reached out to their membership of 194 military charities to find 5 strong contenders for the 2014 Award. This year ‘The Soldiering on Thorough Life Trust’ has decided to ask the general public whom they would like to win. By linking up with JUST GIVING we were also able to raise funds for the Charity (100% of the revenue from the vote will go to the Charity minus 15% administration costs). The Canine Award itself is acknowledge the incredible and essential role that dogs play at war and in helping our military heroes when the return from the front line. The five chosen nominees, I hope you will agree, show incredible strength in the face of adversity. All five stories show how incredible the human spirit can be and how these amazing dogs can really make a difference to the quality of so many lives. There are a few days left to vote for the ‘Canine Award’. Please vote now as all monies are going to the Charity. Details on how to vote can be found HERE. The winner will be invited to the Awards in London next April and will receive their Award in front of a host of celebrities, Royalty and the ‘good and the great’ from the military.